Each has its own challenges and hurdles to overcome but thus far, the use of alternatives has helped some laboratories to significantly reduce the use of animals in testing. Unfortunately, the slight spike in animal use locally over the last several years has led to a great deal of controversy, particularly because we now have non-animal models of testing and new techniques that should ideally be reducing the numbers of animals used in testing. Replacement methods in animal testing involve actually replacing the use of live animals with other methods that are completely non-animal in nature. Wherever possible, companies in the United Kingdom (UK) should be using alternatives such as replacement methods. During the consideration process of granting a project license, the Home Office will carefully weigh many aspects of the proposal, one of which is whether any suitable alternatives exist. If a non-animal model exists that will provide comparable results, then the project license will not be granted. 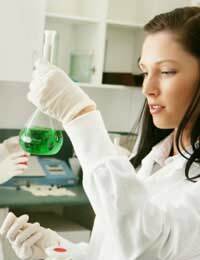 Whenever it is feasible, a replacement method such as an in vitro method is performed in place of animal testing. In vitro methods refer to test tube methods or cell cultures and these can be extremely valuable and effective in replacing animal models. As with any alternative methods, they must be approved and validated as well as receive general acceptance by the scientific community and the local agencies that regulate the field. One way to replace animal use is to improve the use of information. This means that by using epidemiological studies and similar information, it may be possible to avoid animal testing in some instances. Using previously established information means that researchers can avoid repeating experiments. Also, mathematical and computer models can sometimes provide information that is sufficient enough to warrant avoidance of animal testing. Another replacement method is to use plants and microbes instead of animals. As mentioned, in vitro methods can sometimes replace animal testing as well although they are more commonly used to reduce the number of animals used rather than as a total replacement for animal use. Human studies can sometimes completely substitute animal use in an experiment. In particular, human studies have replaced animal testing for cosmetics development. Although animal testing for cosmetics is banned in the UK and will soon be banned in the European Union, it is still allowed elsewhere around the world. Another replacement method involves analysing the chemical and physical properties of a substance to predict its behaviour. Replacement methods are a vital one of the three Rs of animal testing alternatives because they completely replace the animal model with a non-animal method of testing. In fact, there has been the suggestion that these replacement methods can, in some cases, provide a better scientific approach than animal testing. Animal testing relies on certain similarities between humans and animals when testing a substance but the differences are still enormous as well. This means that we are still essentially extrapolating data from animal studies to give us an idea of whether it is appropriate to continue with human clinical trials. At the same time, the aggressive substitution of replacing an animal model with a non-animal one means that replacement methods can require a great deal of testing and analysis before receiving approval. It is challenging and difficult to replace an entire organism, which is why replacement methods are not as common as refinement and reduction approaches and techniques. Still, the challenge must be faced if we are to find new ways of testing that utilise non-animal models. What happens after the animal gets tested on and survives? Do they release them to the wild or do they use them again?